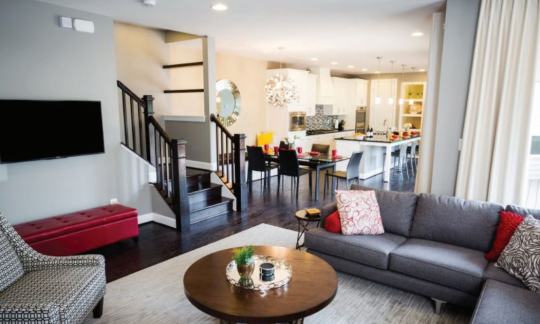 To learn more about the critical design elements or for a free lighting consultation, call my Omaha, Nebraska Decor&You 402-593-6379 today or pick up a copy of “The Styleprint Design System” available for purchase here. Also, be sure to explore our site,www.styleprintdesignsystem.com for additional free resources. 1. Identify your physical and emotional comfort triggers. Is it a cozy space in front of a window, or a cubby tucked into your family room? Do you love natural light or many candles casting a soft glow? 2. Select some elements that appeal to you. A good place to start is in your clothes closet. What five outfits do you reach for time and time again? Think about why, and include those elements in your design plan. 3. What are you conscious purchases and what do you stand for on this planet. Ooh, that’s deep. Maybe you use recycled paper towels and turn your lights off when not in a room, or you sit on the board of your local environmental charity, are a vegan and make your own soap! Whatever level you commit to – you are participating in sustainability in one way. Leverage that in your home design, too. Call our area Decor&You today for a free design consultation 203-405-2126. 1. A floor plan. This includes a solid traffic flow plan, an idea of the size for every design element, which includes furniture and lighting. Without this, you are in big trouble. 2. An investment plan. Having an idea of how much you have to invest in your space (and it is an investment- your home is often the biggest purchase you ever make) is crucial. Beautiful, functional and timeless design comes in all price points. And remember, you don’t have to do it all at once; you can purchase pieces over time as your budget allows. 3. A design plan. Ooooh, did I say “design” and “plan” in one sentence. Yep. A design plan starts with the end in mind like Steven Covey in his book The 7 Habits of Highly Effective People. Call us at 203-405-2126 today to get started on you personalized decorating project. Most Omaha homeowners have a few treasured family heirlooms they can’t bear to part with whether it’s a chair, piece of art, or an accessory. Would you be surprised to know that it is possible to incorporate them into a new decorating plan without compromising style? It has to be done creatively and carefully, but it can be done and it can look absolutely fabulous. Are you experiencing a decorating dilemma? we are here to help! Please contact us at 203-405-2126 today to set up a design consultation and let’s create a space together that you will love. When you’re decorating a room, an important element of the design is your artwork. Now, when you think of artwork you are most likely thinking of framed art, photographs, or sculptures that are displayed on your walls or on a table. Would you be surprised if we told you that artwork can actually be displayed on your floor…in the form of a gorgeous area rug! If you’ve shopped for a rug for your home recently or even flipped through a decorating magazine lately, you’ve probably noticed that area rugs can really become the focal point of a room. Many times, that is the function of art that is hung on the wall, but we believe you can also create that visual interest on your floor. The true function of an area rug is to define a space, protect your floor, and create a finished look for a room. Aesthetically, it can compliment your other furnishings or become the design point from which everything else takes its cue. 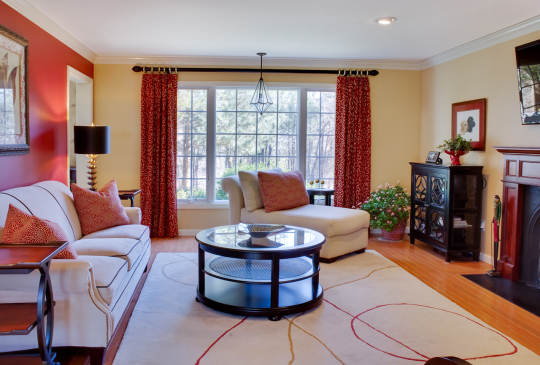 When selecting a rug for your home, consider the following tips. 1. Select the right size and shape. When we work with homeowners to select area rugs we look at all the furnishings that will be in the room and let that serve as a guide. A rug that is too large will look just as awkward as one that is too small. 2. Invest in the best area rug you can afford. We always tell our clients that a quality rug can cost as much as a new sofa, and sometimes more. In fact, an area rug can outlast many of your other furnishings and become something you hold on to for decades. 3. Consider patterns wisely. Choose a pattern with a different scale than the others that exist in the room. 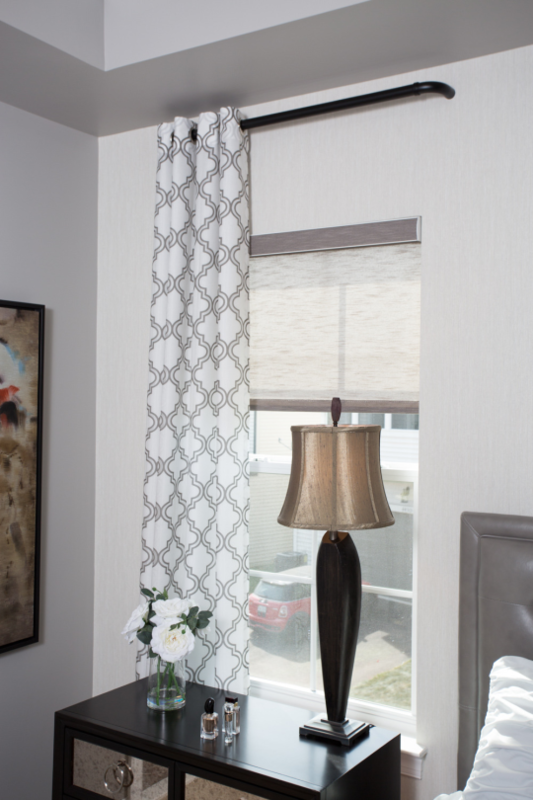 For example, a large scale patterned rug will compliment window treatments with a small pattern. 4. Don’t be afraid of color! As mentioned earlier, you can create a focal point with your area rug. Bold, beautiful colors will help you do that. 5. You may need to order a custom size. In most cases, the area rugs we order for clients are made-to-order. Need help selecting an area rug or other floor covering? Don’t hesitate to call Decor&You today at 603-672-9452. Together, we will find something that you will really love! We’ve all been there…standing in the paint store, staring at thousands of tiny little sample cards. How can anyone make a decision with all of these choices? If you feel overwhelmed, you’re not alone. Some homeowners end up leaving their walls white for years because they’re afraid of making the wrong choice. 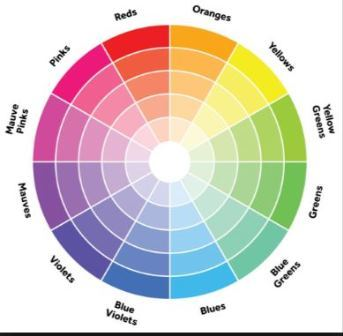 We are here to demystify paint color selection process. 1. Look at your existing décor and finishes in your home. Consider what items will definitely be staying in the room and use those as a guide. Also, look at your flooring and cabinets and countertops for kitchens and bathrooms. If you are starting from scratch, look for inspirational photos of rooms that appeal to you. 2. What type of mood do you want to set? Soft and cool tones will create a sense of calm while bold and bright hues will bring energy or drama to a space. 3. Test the color. Paint large poster boards and hang them on the wall. Be sure to pay attention to the finish you’ve selected. Live with them for a few days so you can see how the light changes the color during the day and night hours. 4. Consider the colors in adjacent rooms. This doesn’t mean that everything needs to be the same paint shade, but there should be a comfortable flow between the rooms in your home. 5. Begin in a small space. A bathroom is a good place to experiment with color choice; there’s less of a time and financial commitment. Still find it overwhelming? We can help. Color consultations are one of our popular services we provide. We can help you with just one room or your entire home. Call us at 203-405-2126 to reach Decor&You today and to schedule a consult . Need help selecting an area rug or other floor covering? Don’t hesitate to call us at our Decor&You today at 203-405-2126 to find a Decor&You location near you. Together, we will find something that you will really love!